Before being beaten and imprisoned, planting multiple churches, and authoring much of the New Testament, Paul had no equal as a Pharisee in his dedication to the law and his persecution of the early church—but God called Paul to be an Apostle. Join Dr. 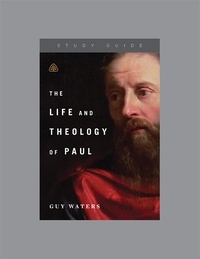 Guy Waters in this twelve-part series as he identifies key moments in Paul’s life and considers the essence of Paul’s God-centered theology. Paul’s inspired writings and the story of his life continue to be a precious gift to the church, used by God to encourage and equip His people in every generation.